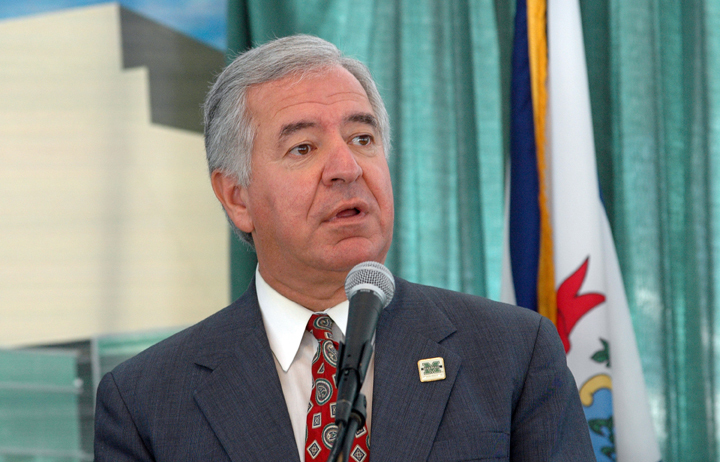 West Virginia Congressman Nick Rahall isn’t the only federal lawmaker who is pushing the Obama administration for answers about its policies toward mountaintop removal coal mining. We’ve already mentioned the letter from Rahall and eight other members of Congress asking the U.S. Army Corps of Engineers how many pending permits are being held up by EPA’s insistence on actually reviewing them (silly EPA, trying to comply with its Clean Water Act responsibilities). And now, the Appalachian Voices Front Porch blog passes on that Rep. Tom Perriello, D-Va.,Â quizzed a top EPA official, Mike Shapiro, the Acting Assistant Administrator for theÂ Office of Water, during a hearing earlier this week of the Water Resources and Environment Subcommittee of the House Transportation Committee. Congressman Perriello: Mr Shapiro, my understanding is that the EPA is currently reviewing about 150 to 200 mountaintop removal permits, and of the ones reviewed so far, roughly 90% have been permitted. Do you expect that percentage to remain in place with the remaining permits? Mr. Shapiro: Its tough to predict. As you indicated, weâ€™ve started a review focusing on those that were furthest along in the process, and as you indicated a relatively small percentage had been identified for further review by the agency in discussion with the Army corps of Engineers and the permittees. As we go forward it depends on the mix of proposals that are present. The kinds of considerations that weigh in our judgment when we decide to raise issues have to do with the scope and scale of the impact of the proposed mine, the sensitivity of the resources that might be impacted and at least our initial assessment of the degree to which damages have been avoided to the maximum extent practicable. I think that although the evidence we have in the first 200 is the best we have to project into the future, we canâ€™t guarantee, weâ€™re not shooting for a specific percentage. Weâ€™re really shooting to identify those that are seriously problematic and to try and address them. Congressman Perriello: When you say youâ€™re looking at the ones furthest along, do you mean that have done the most to look at potential impacts on the ecosystem and environment, or simply furthest along in terms of investment and development? Mr. Shapiro: Furthest along in the Corps permitting process, thank you for that question to allow me to clarify.Â What had happened is that because of some uncertainty involving lawsuits that were in play, there had been a hold up in the backlog of permits – had developed over time. So in fairness to the permitees we have focused early attention on those that were furthest along in terms of temporally their readiness for permitting in the view of the Corpsâ€™ process. As we work out way through that backlog weâ€™ll try to do that in a way that respects the amount of time its taken already to get the permit up to where it is. 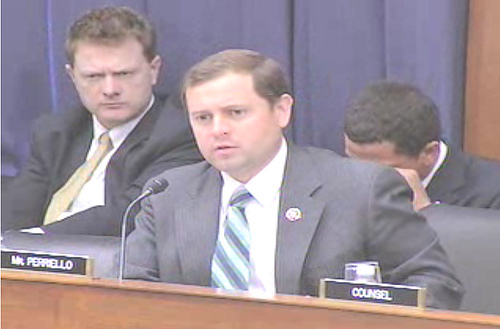 Congressman Perriello: Is their an issue at all with a lack of funding for oversight that hinders your ability to review and suggest alternatives to some of these mountaintop removal situations, around Appalachia in particular. I don’t think Perriello’s going at the EPA from the same direction as Rahall and the others, though. Perriello’s 5th District in Virginia stretched through the central part of that state from Charlottesville to the North Carolina border. Last year, Perriello pulled off one of the 2008 election’s biggest upsets, unseating six-term Republican incumbent Virgil Goode.Â And Perriello is one of the co-sponsors of the Clean Water Protection Act, a bill that could sharply reduce mountaintop removal. …Since many of these permit applications have been pending for a year or more, it would seem that EPA had more than adequate opportunity to review and comment on these applications. The permitting delays pose grave consequences for our constituents and local economies. First, these permits are necessary to create and sustain some of the highest paying jobs in our states. Second, in addition to miners employed at these operations, the products and services purchased to support their construction and operation creates thousands of jobs. Third, the coal produced at these operations provides affordable and reliable electricity that keep factories and businesses competitive. Finally, the tax revenues from coal mining fund schools and other vital government services. In sum, we have significant concerns about polities that impede economic development in difficult economic times. I do not, by the way, buy into the notion advocated by some that we have to replace good coal mining jobs or good manufacturing jobs with so-called green jobs as part of our response to climate change. In this economy, we need all the jobs we can get â€“ whatever their color. Under the law, that is what EPA is supposed to do, and for many years, that is exactly what it did do.Â But for the last 8 years, it turned a blind eye to the permitting process.Â So EPAâ€™s return to its duty under the law caused a lot of alarm. First, I have heard the unpleasant-sounding terms â€œcarbon tax,â€ and â€œnational energy tax,â€ used pretty loosely recently.Â The bill in the House does not impose a carbon tax, as many of the billâ€™s detractors who want to scare us half to death claim. Instead, it would create a market-based cap and trade system.Â This is the kind of approach usually advocated by the U.S. Chamber of Commerce. It is designed to encourage the private-sector to use its talents to reduce emissions. This is the very same approach used successfully in the 1990â€™s to reduce sulfur dioxide emissions and address acid rain. I am not, to be clear, a Member of the Energy and Commerce Committee, and I have not yet taken a position on that bill. But I have been closely monitoring it and working with industry and labor, and listening to the people of southern West Virginia, to try to ensure that coal is treated in a realistic and balanced fashion.Â And you should know that there has been some progress in that regard. â€œI value the lands that we call home and I want to ensure that they remain livable for our children and our grandchildren,â€ Rahall said. I guess that’s one question residents of Southern West Virginia (and other coalfield communities across the country) should be asking their elected officials — what other baskets are we putting our eggs in? Curiously, I heard that some of the other Democrats who, with Rahall, signed the letter to the EPA, are also currently sponsors, or were last year, of the Clean Water Protection Act. Is every politician trying to have it both ways? What’s that expression, ‘they’re all for drinking, but against alcohol’. The only example I see of that is Rep. Phil Hare of Illinois, who co-sponsored the bill (HR 2169) in 2007. @Ken Ward – Tim Ryan (OH-17) signed the letter to the corps and is a cosponsor of H.R. 1310.